Home / Lifestyle / Fashion / Get ready for The Spring Summer Wishlist! 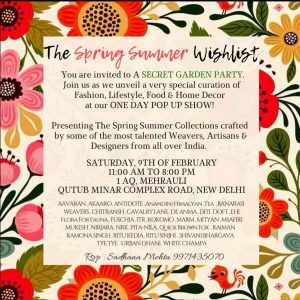 You can witness the collection to their ‘Secret Garden Party’- The Spring Summer Edition of The Wishlist on 9th February. Winter will be gone soon. And it will be time to pack off all your woollens and get your wardrobe ready for spring and summer. Winter’s departure also means all a lot of your favourites food items going off the market and your house requiring some redo to adjust with the new season. So, what’s your spring-summer wishlist for this year. If you haven’t any yet, The Wishlist show is here to unveil the best-kept secrets in fashion, home, lifestyle, and food! The pop-up display will be showcasing creations from across the country, with talented designers from all over India set to share their art and craft. The Wishlist has brought together an exclusive curation of master weavers, artisans and designers from all over India for its 11th season. Marked by a generic concept of color and natural material which reflects an innate human need to embellish one’s self, Akaaro works with and is committed to, the life and longevity of Indian craftsmanship. Tyetye is a sourcing company set up to keep an eye on beautiful, unusual lifestyle products from around the world. Artisan-inspired luxury lifestyle products at affordable prices. Tyetye home products include artistic prints on trays, boxes, and mats, brass and steel cutlery plated in a variety of finishes, fiberglass, shell, and faux shagreen table decor, hand-painted ceramics and stunning agates stones polished to perfection to create luxe server. 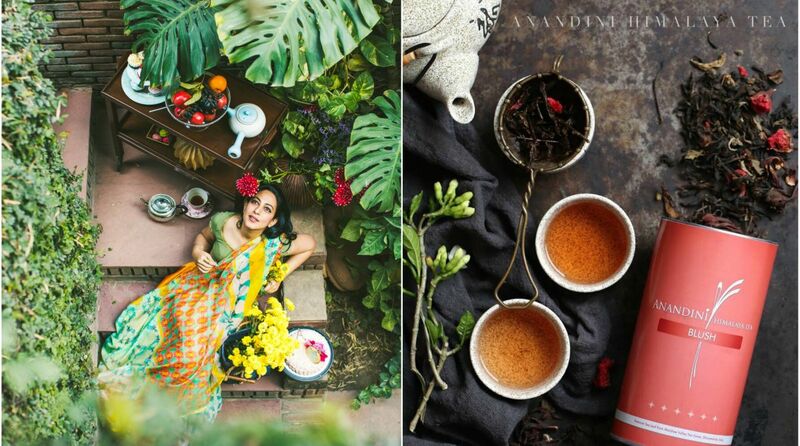 Sadhana Talwar Mehta the founder of The Wishlist said, “Spring is here in all its colors and glory! We are delighted to present the new Spring Summer season of our pop up show in February. This season we have some new and exciting collaborations with interesting re-interpretations of traditional designs in new innovative ways! All our participants share the same ideology – promoting handmade, handcrafted products, made by or in collaboration with local artisans and craftsmen – the essence of The Wishlist! Come join the discovery of hidden treasures! Shop and enjoy a sunny spring afternoon under the majestic banyan tree the very best in fashion, lifestyle, Indian textiles, and home.